Dubai Summer Surprises is back and, as always, there’s sooo much going on! From shopping offers and foodie deals to fun for all ages to loads of prizes up for grabs – this is going to be one unforgettable summer in Dubai! Here are some of the coolest deals and events in Dubai to look out for this DSS.. This summer, Dubai Mall has set up telephone booths all around the mall with phones that will ring at random. All you need to do is answer the call, correctly answer a trivia question, and you will instantly win prizes! In addition to this, if you spend AED 100 or more at Dubai Mall, you can enter the draw to win up to 1 million Skyward miles – which means a whole lot of plane tickets and upgrades! Fancy going for a beach party? Don’t worry, this one is indoors! Dubai Marina Mall has set up an awesome indoor beach this summer, with fun for all ages! Kids will love all the games, arts & craft activities, and the beach party. Grown ups, you can win prizes by jumping in to the Ballpit Sea and finding one of the 50 gold balls! From zip lines and trampolines to bumper cars and water slides, whoever thought Modhesh World was just for kids has clearly never been there. This place is filled with games, rides, and entertainment for all ages – there’s even an ice rink! This Italian street musician is famous for making music using homemade instruments, and we can’t wait to watch him live! Catch him at BoxPark and La Mer this summer, as he uses random objects like typewriters and kitchen utensils as musical instruments. For this weekend only (until 30th June), City Walk is having a mega super sale! Shopaholics can expect huge discounts at 30 outlets, including Armani Exchange, Rag & Bone, Whistles, and Coach – who are offering complimentary monogramming! On top of all the shopping offers, there’s also a great deal on entertainment. If you’re planning to visit Hub Zero, The Green Planet and Mattel Play Town, make sure to get the Multi-Pass offer! As part of Dubai Summer Surprises, La Mer’s new water attraction Laguna Water Park has set up a special obstacle course with water guns, where kids can play and have fun! 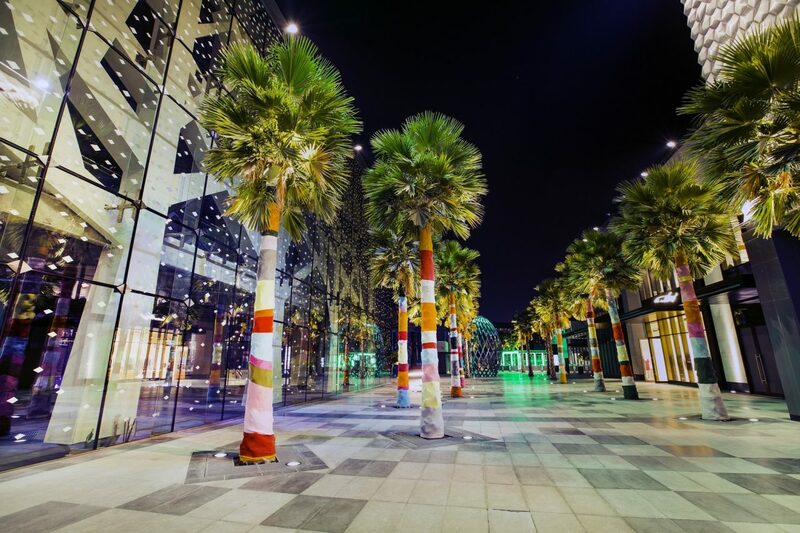 This DSS, City Walk is bringing an awesome musical to Dubai! Toys: The Musical, by West End producer Milton Morrissey, tells the story of a young girl’s journey through a land of living toys. The show will be performed in an air-conditionned set up, and all you need to do to attend is present an AED 150 receipt from City Walk. This contemporary Indian restaurant has a great deal on this summer! Head to Masti Dubai to enjoy its 5-course set menu, which includes the famous butter chicken pizza, for just AED 150 per person! There is so much going on at Dubai Mall this Dubai Summer Surprises! There’s a Playstation Gaming Tournament happening now, with games like FIFA 18, while next week characters from Marvel, Cartoon Network and The Lost World characters will be there to entertain everyone. LEGO fans, don’t miss the interactive LEGO zone happening next month! Dragon Mart has got loads planned for families this DSS! From a Looney Tunes Show (with Tweety & Sylvester!) for the little ones, to raffle draws to win a Dodge RAM – don’t miss out on all the action. Calling all foodies! Don’t muss out on the foodie offers at City Walk this Dubai Summer Surprises! Burger lovers, you can enjoy combo meals for just AED 38 at Burger Joint! On Mondays, ladies can get free drinks and desserts at Tartufi & Friends, as well as 50% off their bill.